Disrupting two genes involved in the preservation of RNA molecules inhibits the ability of the male form of the malaria parasite to mature and be transmitted from human blood into mosquitoes, interrupting a key stage in the parasite's life-cycle and cutting off an important step in the spread of the disease. 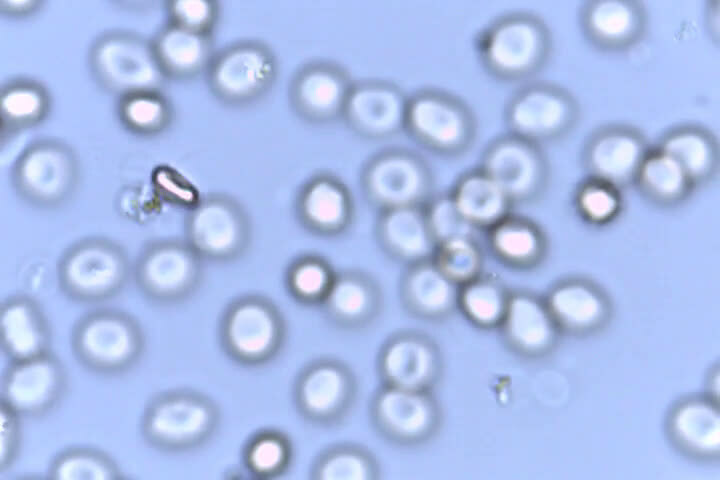 Researchers at Penn State and the University of South Florida have identified a complex of proteins encoded by these genes that is crucial for the maturation of the male form—or gametocyte—of the Plasmodium parasite responsible for malaria; developing methods to target this complex with antimalarial drugs could lead to a new weapon in the fight against the disease. A paper describing the research appears January 31, 2019 in the journal PLOS Pathogens. "Malaria continues to be an incredibly damaging global health problem, killing hundreds of thousands each year," said Scott Lindner, assistant professor of biochemistry and molecular biology at Penn State and the leader of the research team. "Malaria is transmitted when a mosquito takes a blood meal from an infected individual and ingests male and female Plasmodium gametocytes, the sexual stage of the parasite's life-cycle, which then mature in the mosquito. The gametocytes mate in the gut of the mosquito, and ultimately form sporozoites that can then be transmitted to other individuals. We were interested in identifying important molecular processes in the maturation of the sexual stage of the malaria parasite, which is required for transmission to mosquitoes, because targeting transmission events has been identified as a potentially effective way to fight the disease." "The immature gametocytes in the blood must preserve and stabilize the mRNA that they will use to fully mature once they are in the gut of the mosquito," said Kevin J. Hart, a postdoctoral researcher at Penn State and first author of the paper. "We were interested in understanding the role of a complex of proteins known from other organisms to facilitate the degradation of mRNA by removing the protective poly(A)tail of mRNA." The CAF1/CCR4/NOT complex of proteins contains two proteins, CAF1 and CCR4, that act as "deadenylases," enzymes that can remove poly(A) tails from mRNA reducing mRNA stability. 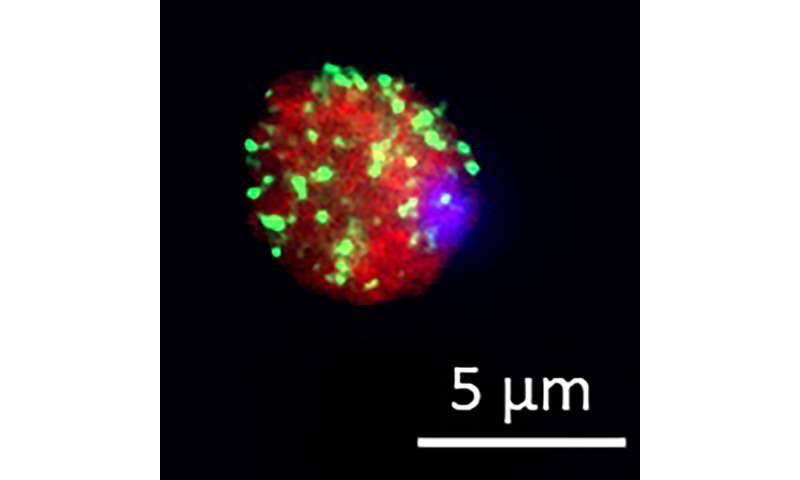 When the researchers experimentally disrupted the genes for these proteins in malaria parasites, they expected that mRNA stability in gametocytes might increase; however, they saw the exact opposite. "We were incredibly surprised to see that both CAF1 and CCR4 seemed to play a role in mRNA preservation in the gametocytes," said Hart. "When we disrupted the function of these proteins, by completely removing or creating non-functional versions of the CCR4 or CAF1 genes, mRNA levels decreased and the ability of the gametocytes to mature and infect mosquitoes was inhibited." "If we can develop a safe way to target this complex with antimalarial drugs it could be an effective new tool that inhibits transmission of the disease," said Lindner. "It would act as a kind of birth control for the malaria parasite, limiting the ability of the parasite's sexual stage to reproduce in the mosquito, and as a consequence, reducing the spread of the disease."